How long does it take for Propecia to work? And how well does it work? 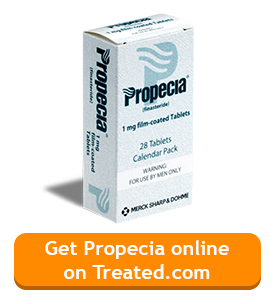 Propecia is a continuous treatment, and generally, patients will have to take Propecia for 3 to 6 months before the full effects of the medication become apparent. On this page, we’ll take a look at available information on the efficacy rates of Propecia at different stages of treatment. The effects of Propecia take some time to develop. It is therefore not likely that you will notice any significant improvement or difference in hair in, for instance, the first 2 weeks of Propecia treatment. To help ensure that the treatment is effective, you should continue taking it every day once you have started according to your prescriber’s instructions. If you experience any side effects or notice anything unusual when taking the medicine, talk to your GP. As noted in the summary of product characteristics (SPC) some of the men who took Propecia during clinical trials began to notice improvements as early as 3 months into treatment. One study undertaken at the All India Institute of Medical Sciences reported that, at the three month stage, there was no significant statistical difference in ‘appearance of hair’, ‘hair growth’ and ‘bald areas’ between patients taking finasteride and placebo. However, it did note significant improvements in the finasteride group as the study progressed (at the 6 month, 9 month and 12 month stages of treatment). The patient information leaflet advises that it may take up to 6 months for the full effect of Propecia to develop. So, although improvements to hair counts have been noted in some patients at the 3 month stage, this does not mean that every patient will notice them at this point. It can take longer for the medication to have an effect for some people. The summary of product characteristics notes that in clinical trials, increase in hair count peaked in the treatment group at 2 years. On average, an increase of 88 hairs from the baseline, in the standard 5.1 cm2 area, was recorded at the two year point. A phase III study looking into the impact of finasteride on androgenetic alopecia recorded a net improvement of 16 percent at two years. After five years of treatment, the average increase in hair count came to 38 hairs per 5.1 cm2 area. This means that even though the peak was reached after two years, a significant improvement was still seen at the five year point. Only 25 percent of participants treated with the placebo were classed as improved or unchanged at the five year point. Propecia didn’t become available in the UK until the early 2000s, and is a relatively new drug; so how long the treatment continues to be effective for after five years is a subject which needs further study. Some men may eventually find that the drug becomes less effective and stop taking it, whereas others may continue taking it beyond five years and still find it effective. In any case, Propecia is only capable of working for as long as it is taken. 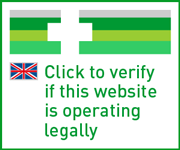 The patient information leaflet advises that hair gained while on treatment will likely be lost within 9 months to 12 months of stopping Propecia. If you are experiencing hair loss and you would like to know more about whether Propecia might work for you, speak to your GP. Can you buy ED treatments online? Spedra: Why is 100mg the starting dose?